by Jim Corbran, Automotive Columnist Now here’s something I’ll bet doesn’t often cross your mind: what kind of cars are the Iranian people driving these days? Guess what — it’s not Fords or Chevys. Nor is it dilapidated old iron from the 1950s-era like you see in Havana. No, Iran actually has its own automotive industry. One of the companies is called the Iran Khodro Industrial Group (IKCO), and their Samand LX is pictured here. 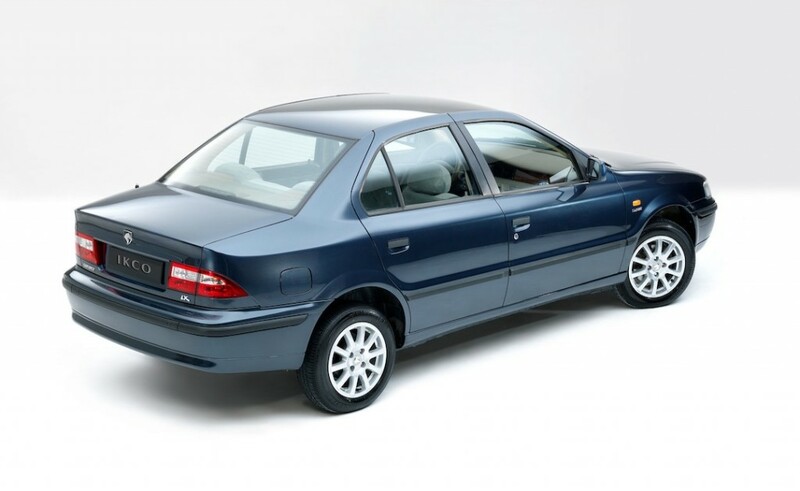 A compact sedan with a 1761 cc engine and a manual transmission, the Samand is built and sold in Iran, and is also exported to a handful of countries in Europe, Africa, and Asia, as well as Venezuela. I’m thinking to myself here, what would possess a person in, say, Vietnam, to buy an IKCO Samand when there are so many other vehicles available? And then I read ICKO’s overview of the Samand on their web page. Now it’s all clear to me. And I quote: “Samand LX, a family sedan created by Iran Khodro Industrial Group, is a symbol of improvement, both in quality and standards. Enjoying a robust body and an advanced platform, Samand is among the best-ever sedans in terms of passive safety.” And there you have it! Check out the entire IKCO lineup of home-built and imported vehicles, or even download a catalog, right here: IKCO.ir ### The post 2015 IKCO Samand LX appeared first on Buffalo Cars.